For me Ben Howard and Ed Sheeran are somehow intertwined. Between the two of them they have gotten a host of followers, while they themselves have followed in the extremely large footsteps of Damien Rice. Then there are second generation followers that score hits like Hozier and those who still have to find a large fan base like Kim Churchill and one that is on his way to world fame, James Bay. For me there is not a single one of the four mentioned in the title that deserves a solo entry on this blog. For that I do not think their albums as a whole stand out enough, although Ben Howard came close. (James Bay is still on the backburner. Too new to decide at this point.) It was here that I came up with the idea to combine them, while deliberately saving Kim Churchill's album until I finally got around to finish this combined idea. Ed Sheeran is the largest name at this point in time. 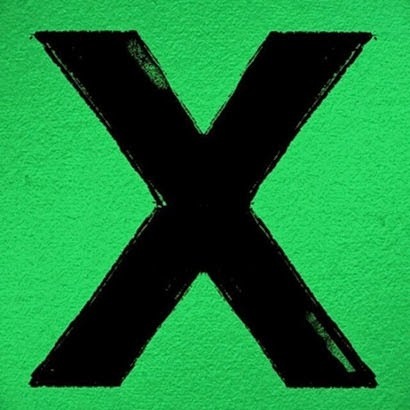 With the singles of his latest album 'X', starting with the worldwide hit 'I see fire' he has conquered the world. However, when all is said and done his top 10 and even number 1 hit(s) just do not speak to me enough. 'X' is the album of a singer-songwriter full of songs that get a little hiphop infusion. Muted guitar strings is his other signature sound. His albums songs are more basic than his singles. Ed Sheeran hip hops on two thoughts in his music. Where someone like Jack Johnson is tipped the hat at also. In short, it isn't that Ed Sheeran has made a bad album, it has a lot of quality that is recognised by millions of people. It overall just doesn't do too much for me. A song like 'Photograph' is quite nice actually and shows that Damien Rice is a large influence on Sheeran as well. Ben Howard appears to be more of an album artist and I sort of forgot to listen to 'I forget where we were'. Luckily these sort of albums tend to come by in the longer run anyway and here I am writing on the album. 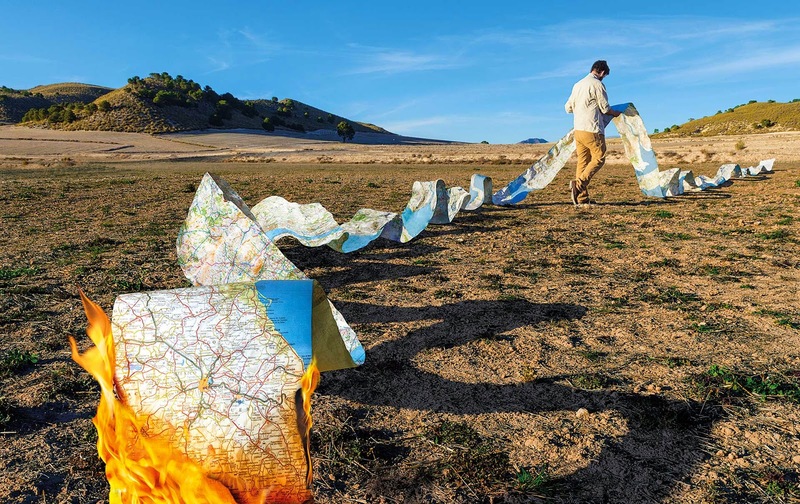 'I forget where we were' is a strong album, focused and an extremely good reason to stop linking the two artists. 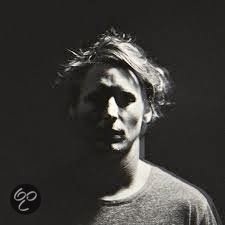 Ben Howard develops in a totally different direction and seems to have a stronger drive, but lesser hits than Sheeran. If anything Ben Howard comes very close to Damien Rice, who I also did not review (Erwin Zijleman did). The hurt goes deeper and emotions seem to come from another level. In opening song 'Small things' it's made clear that the colours are dark, echoes from empty spaces envelope the listener. Not much to laugh with or at. Ben Howard sets these moods in a convincing way and keeps this level without too much of an obvious effort. 'I forget where we were' may be a dark album, a strong and good album it is. Musically it is varied with enough to listen to, but the darkness in the end turns me off too often. Hozier scored a major hit as well. His 'Take me to church' is in the NL charts for circa half a year by now and peaked at #2. A bit of an unlikely hit song if you ask me, but extremely impressive none the same. (As Sinead O'Connor's song with the same title btw.) The rest of the album just never resonated with me. A sort of one ear in one ear out sort of album, that I gave up on after the third listen. 'Hozier' is the first album by Andrew Hozier-Byrne a 24 year old bard from Ireland who conquered the world with his breakthrough single. With a somewhat rough-edged voice he drives his nails into the door of the church of his youth. 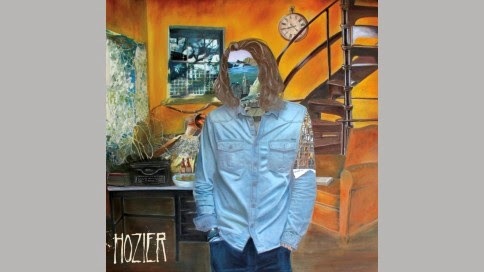 On the album Hozier goes off in some other directions as well. There is some gospel, 'Angels of small death and the codeine scene' a song that could be sung in church with a different arrangement (and lyric). There is some rock. 'Jackie and Wilson' is an elementary rocker in a classic trio line up, until the church choir kicks in. When the fourth song is a ballad in a Van Morrison jazzy style, we have four different songs in four songs. Hozier is not afraid to surprise and go out on any way he wants. So perhaps this album deserves a fourth listen. The fact remains that 17 songs is overdoing it, for the deluxe version that is. Kim Churchill gave an extremely, surprisingly good show at the Q-Bus in 2014. A one man band wonder, creating storms and proved to be a fantastic singer. On record it is all a bit more down to earth and the album did not made that huge dent I had hoped for. Four albums that are different, but have a lot in common. Four albums that I rate completely different. Four singers who offer a lot to the world of which three have claimed their fame already. One left to go, dear listener. On you go; let the grass root movement start here.